Just about the moment the camera was invented, it was used to create portraits. Historic records of people have always been a main photographic focus. In an era of selfies, a portrait stands out as a composed and intentional representation of a person. The first consideration when choosing a lens for portraiture is typically focal length because it has the biggest impact on the function and efficacy of a lens for portraiture. It determines whether a portrait is a tight head-and-shoulders shot or a wide waist-up or even full-length shot. Focal length impacts how close to a subject the photographer must be, how much of the subject can fill the frame and, most importantly, the focal length has a huge effect on a subject’s features—making them look big, exaggerated and distorted if you choose the wrong lens for portraiture. To minimize distortion, professional portrait photographers rely on telephoto lenses. That’s a broad categorization, though, as any lens longer than 50mm might be considered a telephoto. Should you use the longest focal length you can for portraiture—like a 600mm super-telephoto lens? Not hardly. Those lenses are too long to use comfortably in portrait situations. Instead, most portrait lenses top out around 150mm, though 200mm is still useful, particularly for close-ups and tight headshots. At 150mm (on a full frame DSLR), a photographer making a head-and-shoulders portrait is likely to be standing about 10 feet from the subject—close enough to comfortably talk but not so close as to invade one another’s personal space. In practice, portrait lenses generally fall between 70mm and 200mm, with traditionally popular focal lengths of 85mm, 100mm, 135mm and 150mm cropping up more often than most. These short telephoto lenses, by and large, are great portrait lenses. But why? Unlike complicated superzooms or ultrawide lenses, short telephoto lenses are fairly simple, optically speaking, which makes them easier for manufacturers to make fast and sharp—two things portrait photographers love—as well as compact and affordable (something every photographer loves). A lens is fast if it has a wide maximum aperture—like f/2 or f/1.8, for instance. This allows the use of a fast shutter speed at a low ISO and produces a shallow depth of field. Both of these, too, are useful for portraiture as the shallow depth of field isolates the subject and draws the viewer’s eye to the face, while a fast shutter speed makes handholding possible and minimizes the chance of motion blur from a moving human subject. With a focal length of 70 or 85mm, a portrait lens will be especially useful for making full-length and waist-up portraits from fairly close proximity to the subject. This is particularly useful for, say, fashion photography, wedding photography or senior portraits where head-to-toe photos are a popular request. From 85mm to 135mm, waist-up portraits and head-and-shoulders shots are right in the lens’s sweet spot—good for a variety of general portrait applications, including model and actor headshots, as well as editorial and corporate portraits. For close-up portraiture, it’s the focal lengths beyond 135mm—like 150mm and 200mm—that are called on the most. With these long portrait lenses, an extreme close-up does not require invading the subject’s personal space. Speaking of space, where you work has an impact on the focal lengths you can use, too. If you primarily make studio portraits in a small indoor space, a wider telephoto may be a necessity simply to ensure you can work within the confines of the studio. On the other hand, a photographer who specializes in outdoor portraits may be able to get away with a 200mm lens or even longer—though standing far away still becomes an issue, as it makes it harder for a photographer to connect with her subjects. One way some photographers choose which focal lengths they’d like to use for portraits is to choose a zoom lens that covers a range of focal lengths instead of a prime lens, which is fixed at a particular focal length. Zoom lenses aren’t necessarily better for portraits, as they are often a little slower and heftier than prime lenses, but they do make it easier to change from full-length to close-up without ever having to change lenses. A 70-200mm lens, for instance, becomes great for portraits in this way. A traveling photographer might also prefer zooms to primes in order to carry less overall weight without sacrificing focal length range. Another difference between zooms and prime lenses is that some zooms feature a variable maximum aperture—one that automatically stops down from, say, f/4 to f/5.6 when zoomed to the full telephoto position. Such a variable maximum aperture makes lenses smaller and lighter, but it also makes it harder to get a particularly shallow depth of field. 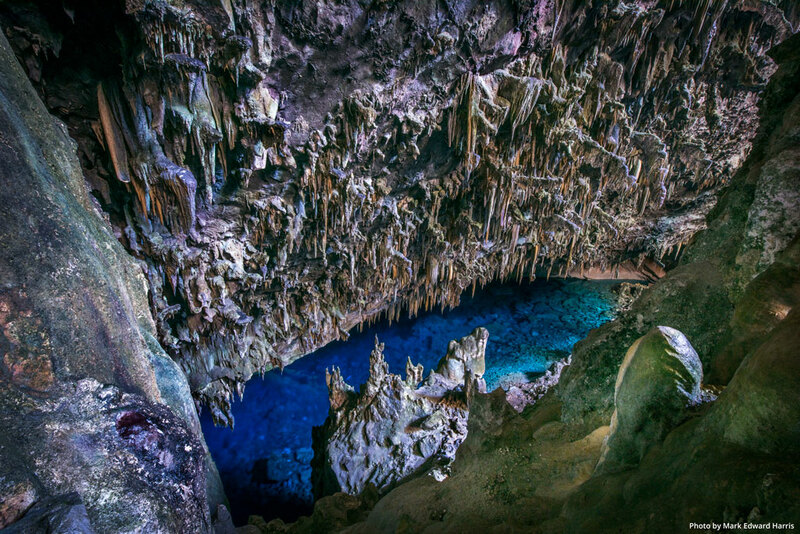 Prime lenses have also traditionally been favorites of professionals because they tend to be very sharp. Zoom lenses have come a long way in the last few decades, and now they are regularly just as sharp as primes. However, the relative simplicity of a prime lens’s optical construction means that they tend to be higher quality, having elements optimized for a specific focal length, along with fewer moving parts than a zoom. 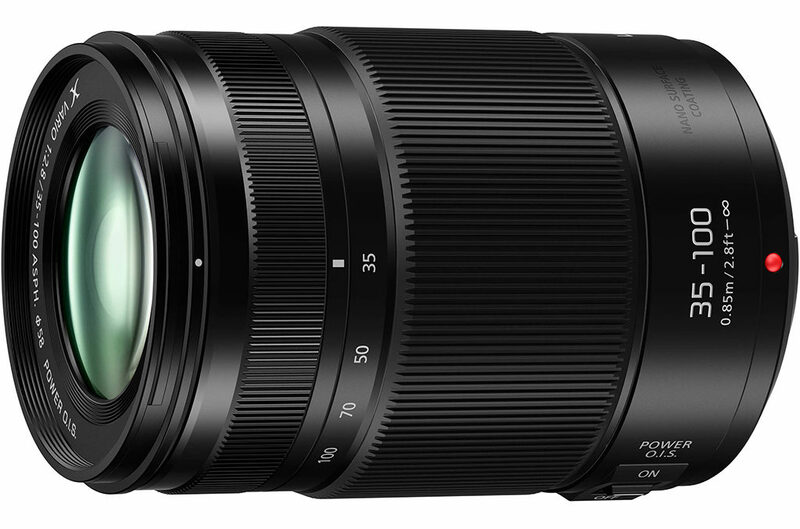 Still, there are great portrait lenses to be had in the ranks of both prime and zoom lenses. For each of the focal lengths mentioned here, in every case the measurements are given for cameras with full-frame sensors approximating the size of 35mm film. Users of cameras with sensor formats smaller than full frame—like APS-C and Micro Four Thirds, for instance—actually offer a benefit for portrait photographers by way of the crop factor that in practice turns a 70mm lens into a 105mm perfect-for-portraits lens. On a Micro Four Thirds camera, a 24-70mm zoom will behave much more like a 50-150mm lens—again, great for portraits. The quality of the out-of-focus area of an image is called bokeh. Smooth, spherical out of focus highlights and shadows, which are considered good bokeh because of their unobtrusive nature, come from a circular aperture. That requires more iris blades, as well as blades that are shaped in such a way as to produce a perfectly round aperture at all sizes. Some lenses are made with this quality specifically in mind, and manufacturers usually make mention of it. For photographers who handhold their cameras in almost every circumstance, vibration reduction (also called shake reduction and image stabilization) is a hugely beneficial addition to a portrait lens. The longer the focal length, the more amplified any shaking from handholding will be, so for photographers using portrait lenses—particularly longer ones in the 135 to 200mm range—vibration reduction can provide an additional two or more stops of handholding capability. This is helpful, particularly when working with low levels of natural light, which can be great light for portraits. When handholding with a telephoto lens, a good rule of thumb is to use a shutter speed no slower than the equivalent of the focal length of the lens. For instance, with a 200mm lens, use at least a shutter speed of 1/200th to ensure sharp pictures. With vibration reduction switched on, an even slower shutter speed can still produce tack-sharp focus with no motion blur. Olympus M.Zuiko Digital 45mm f1.8. Users of the Olympus PEN Micro Four Thirds camera system will appreciate the compact and light 45mm f1.8 prime lens from Olympus. 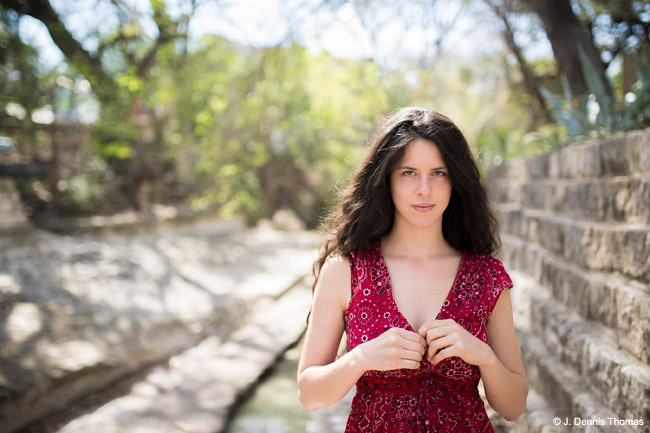 Equivalent to 90mm, the lens is ideal for shooting portraits. The fast ƒ/1.8 maximum aperture helps to isolate subjects against out-of-focus backgrounds, and it’s useful when working in low light, too. Fashion-conscious photographers will appreciate the interchangeable color rings that allow the lens to be matched to different PEN cameras. An affordable price makes this lens user-friendly, too. Sony FE 50mm F1.8. 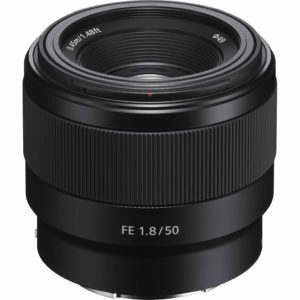 Used with one of Sony’s full-frame mirrorless cameras, the FE 50mm F1.8 is a normal prime lens. But paired with a camera using an APS-C sensor, the focal length becomes equivalent to a 75mm lens—great for portraits, particularly of the full-length variety, or when working in close quarters. The lens uses one aspherical element of its six elements in five groups and a seven-bladed aperture for beautiful bokeh. Most of all, the lens is a very affordable option in a field crowded by pricey portrait lenses. 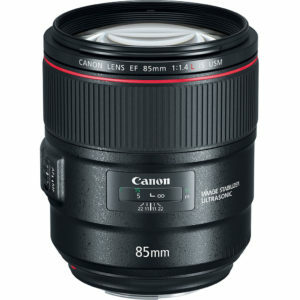 Canon EF 85mm f/1.4L IS USM. It’s hard to imagine a situation in which the new ultrafast EF 85mm f/1.4 L lens from Canon needed more light, but with built-in image stabilization up to four stops, it can be handheld at low ISOs practically in the dark. Canon’s L series of lenses is its pro line, defined by highest sharpness and image quality as well as heavy-duty construction, and professional portrait photographers will certainly love the features of this lens. Nine rounded aperture blades produce sublime bokeh when shooting this ultrafast lens wide open to isolate portrait subjects from backgrounds. Rokinon 100mm F2.8 ED UMC Macro. Macro lenses are particularly useful for portraits of kids and babies, or any time you’d like to make extreme close-ups. The Rokinon 100mm F2.8 ED UMC Macro can be used on full frame cameras as well as cameras with smaller sensors—on which it is equivalent to a 160 to 200mm telephoto prime—still quite useful for portraits. 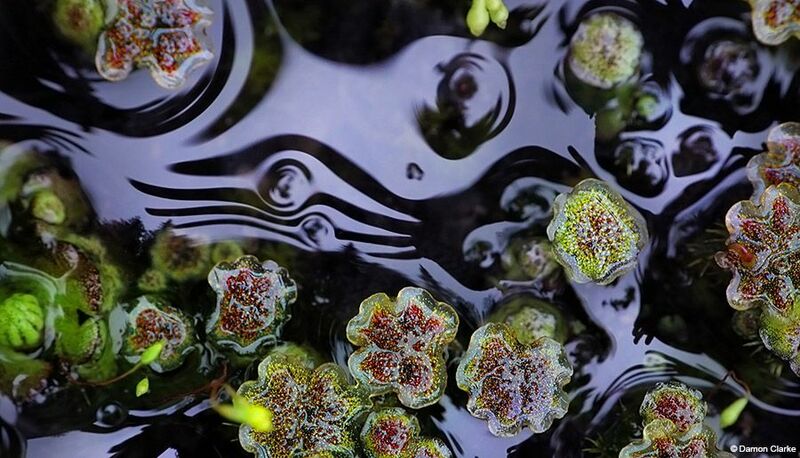 The lens focuses as close as 12 inches for life-size enlargements of fine details. The circular, nine-bladed aperture produces smooth bokeh for attractive portrait backgrounds, too. UMC-coated ED glass elements minimize the ghosting and flare that sap color and degrade contrast from lesser lenses. The 100mm lens is available in Canon EF, Nikon F, Sony A, Sony E and Fujifilm X mounts. Sigma 105mm F1.4 DG HSM Art. 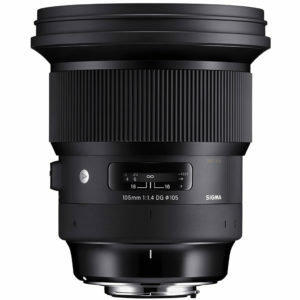 The newly announced Sigma 105mm f/1.4 DG HSM Art lens is the longest in Sigma’s Art lens lineup. It uses 17 elements in 12 groups, including two SLD elements and three FLD elements for maximum color accuracy and minimum chromatic aberrations, as well as an aspherical element to eliminate distortion and spherical aberrations across the field of view. Super Multi-Layer Coatings applied to the elements eliminate flare and ghosting that degrade sharpness, color saturation and contrast. The large-diameter front element minimizes vignetting, while the nine-bladed aperture helps to produce beautifully smooth bokeh. Though it’s designed for full-frame cameras, on APS-C sensors this ideal portrait prime becomes a slightly longer 168mm focal length that’s still quite useful for people photography. Available for Canon, Nikon, Sigma and Sony FE mounts. Nikon AF-S NIKKOR 105mm F1.4E ED. Professional portrait photographers demand the utmost in speed and image quality from their lenses. 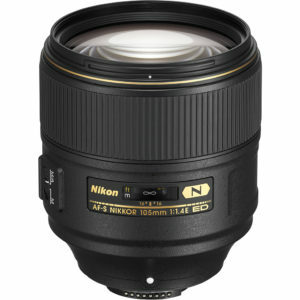 Nikon’s AF-S NIKKOR 105mm f/1.4 ED is just such a pro-level portrait lens, at an ideal 105mm focal length. The lens utilizes 14 elements with Nano Crystal coatings for minimized chromatic aberration from edge to edge. Nine aperture blades produce smooth bokeh, and the superfast f/1.4 maximum aperture means that bokeh will play prominently in the quality of the portraits, particularly in natural light. Durable construction with moisture and dust-resistant seals make the lens even more useful for professionals who work in all kinds of weather. Fujifilm GF110mmF2 R LM WR. 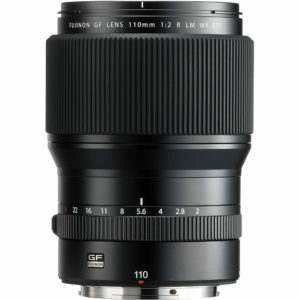 Fujifilm’s finest class of lenses is the GF line, and the GF110mmF2 R LM WR is a high-quality mid-range portrait lens designed for use with Fujifilm’s GFX 50S medium format mirrorless camera. On the larger sensor of the GFX 50S, this 110mm lens is equivalent to an 87mm lens in the 35mm format—an ideal portrait focal length. Zeiss Batis F2.8/135. 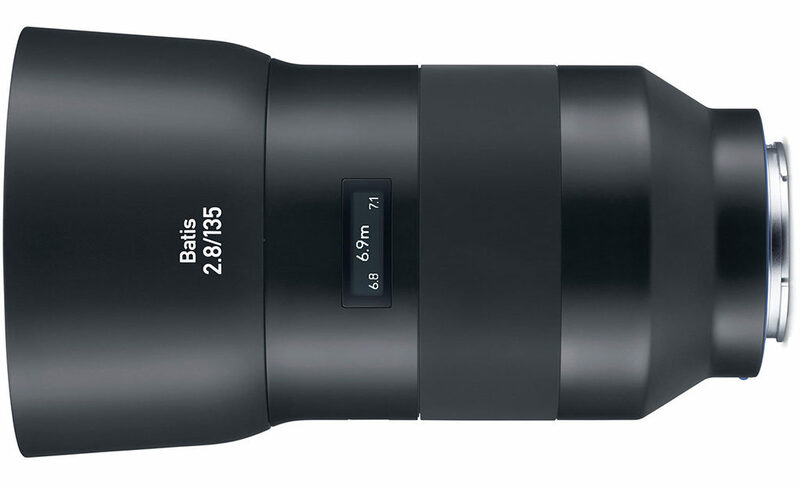 Users of Sony Alpha E-mount cameras will appreciate the high quality of the Zeiss Batis f/2.8 135mm portrait lens. The Apo Sonnar optical design uses 14 elements in 11 groups plus T* anti-reflective coatings to practically eliminate color fringing and chromatic aberration of all kinds as well as lens flare and ghosting. The lens construction radiates high-tech quality, built on a smooth metal body with an OLED display that provides focus distance and depth of field information. On APS-C camera models, the lens becomes a 202mm-long portrait prime, great for close-ups and headshots. Optical image stabilization provides added usability in low light, and dust-resistant and weather-sealed construction make the lens useful when working in the weather, too. Panasonic Lumix G X Vario 35-100mm F2.8 II Power OIS. Users of Micro Four Thirds cameras should consider the Panasonic Lumix G X Vario 35-100mm f/2.8 ASPH Power Optical I.S. 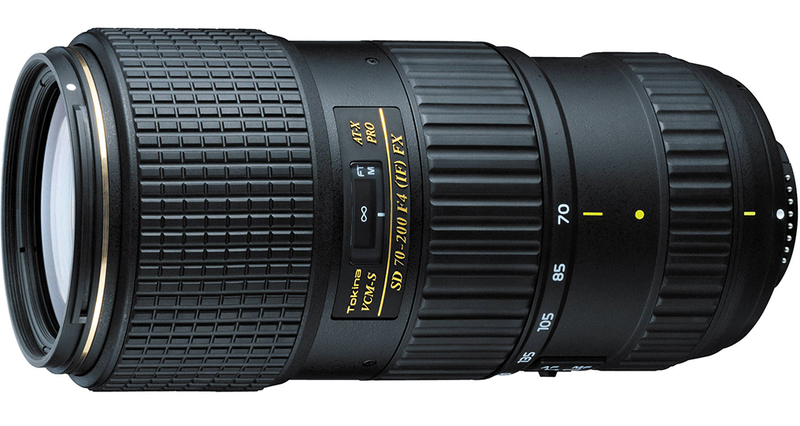 zoom lens for portraits. Paired with the Micro Four Thirds sensor, the lens is equivalent to a 70-200mm zoom—a great range for portraits because it covers all the popular portrait focal lengths…and then some. 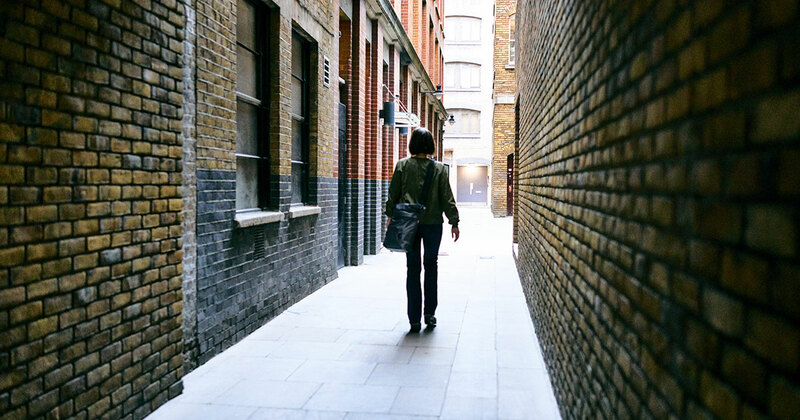 Vibration reduction is built in thanks to Panasonic’s Power Optical Image Stabilization system. The lens is also constructed to be dust-and moisture-resistant, with a freeze-proof design that works even in freezing temperatures. The fast f/2.8 maximum aperture is great for portraiture while ELD and ULD lens elements work to eliminate chromatic aberration and color fringing—all at a lower price than the older model this lens replaced. Tokina AT-X 70-200mm F4 PRO FX VCM-S. The compact and affordable Tokina AT-X 70-200mm F4 PRO FX VCM-S was built for full frame DSLRs. On DX-cameras, with smaller-than-full-frame imaging sensors, the lens performs like a 105-300mm zoom—great for close-up portraits. The zoom features a nine-bladed aperture for smooth bokeh, super-low-dispersion glass to minimize chromatic aberration and three stops of vibration reduction to make handholding this compact lens even easier. Available for the Nikon F lens mount. Tamron 70-210mm F4 Di VC USD. 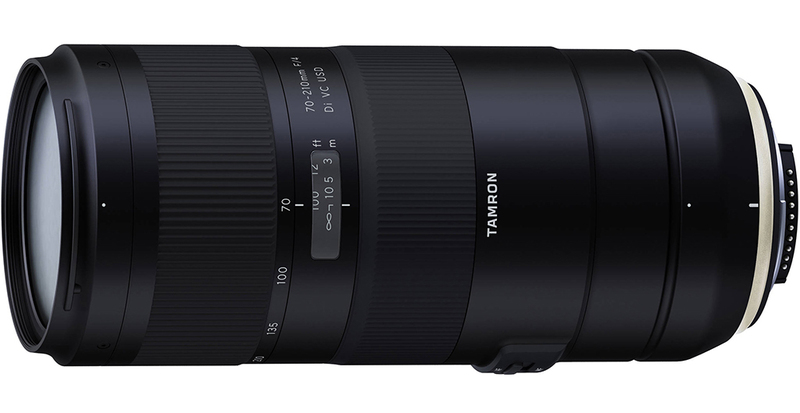 Covering a long popular telephoto zoom range, the new 70-210mm f/4 Di VC USD zoom from Tamron encompasses the entirety of popular portrait focal lengths. The fixed f/4 maximum aperture means no loss of brightness at any focal length, while the minimum focusing distance of just 3.1 feet makes extreme close-up portraits a snap. The rounded nine-blade aperture improves bokeh while fast, quick and quiet USD autofocus provides precise AF for both stills and video. Built-in vibration reduction helps to improve handhold-ability, which is especially helpful with a lens of this size—although it is relatively compact for a zoom covering 70-210mm. Available for Canon EF and Nikon F mounts.